Wayne, Pa. (January 9, 2018) — Natvar, a Tekni-Plex business unit, will exhibit the latest medical tubing innovations at MD&M West, February 6-8, Anaheim Convention Center, Anaheim, Calif., in Booth 2027. The latest products are also being supported by the company’s new China manufacturing plant. Production for microextrusion and silicone tubing is scheduled to go on stream in February. The new facility has been backed by a $15 million investment to support the growing needs of the Asia-Pacific pharmaceutical and medical device markets, as well as provide a secondary supply source for other regions. 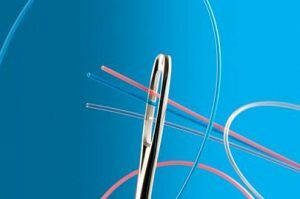 Microextrusion tubing has been developed in recent years to service a wide variety of demanding neurovascular interventional therapies and surgical applications. Natvar’s new microextrusion medical tubing can be made from cost-effective thermoplastics and other highly-engineered materials. Because it can consistently hold tight tolerances, it is an ideal alternative to more expensive materials such as glass and fluoropolymers. The company also is announcing the global availability of its high-precision medical silicone extrusion tubing, typically used for catheters, feeding tubes, drug delivery and peristaltic pump applications. Natvar’s latest investment in expanded silicone extrusion capacity helps provide a one-stop global solution for complex medical applications and supports the growing need for biological compatibility for implantable medical devices.